I missed the exact date on this one, but it was probably about five or so days ago. 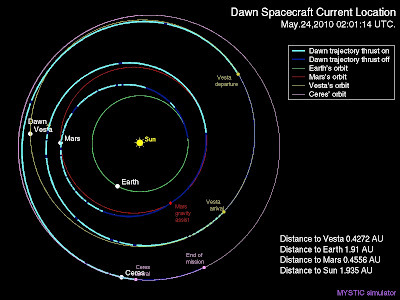 Looking at Dawn's current position, it's finally now closer to Vesta than to Mars. Dawn made a flyby of Mars over a year ago (February 2009) and since it's using an ion engine it has an extremely gentle trajectory where it simply matches its orbit over time with the object it intends to approach as opposed to a regular probe that will go directly to an object, fire its engines at full blast and drastically change its trajectory in order to go into orbit and not go flying by. Anyway, it's now just 64 million km away, or 166 times the distance from the Earth to the Moon. 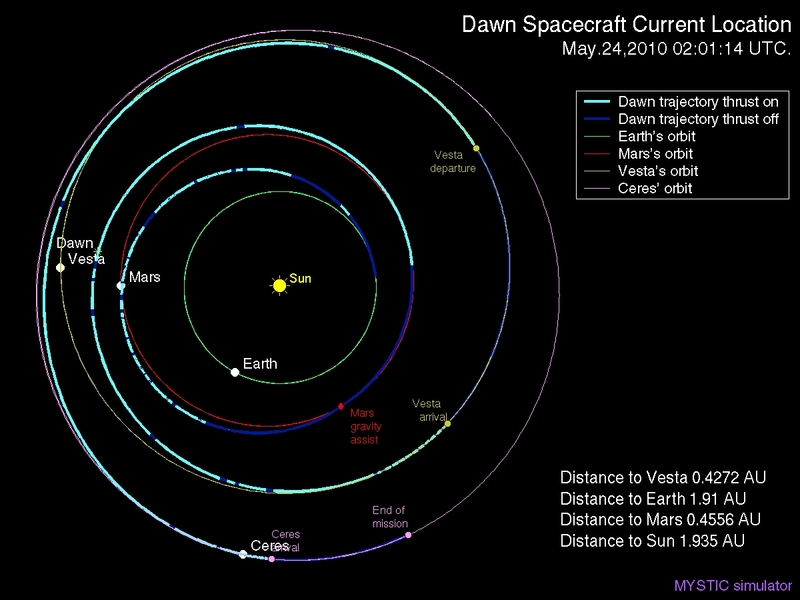 In contrast, Earth is 317 million km away from Vesta now which is 825 times.